There are still downed trees thanks to hurricane Matthew, but fortunately one of my favorite Charleston parks seems relatively unscathed. 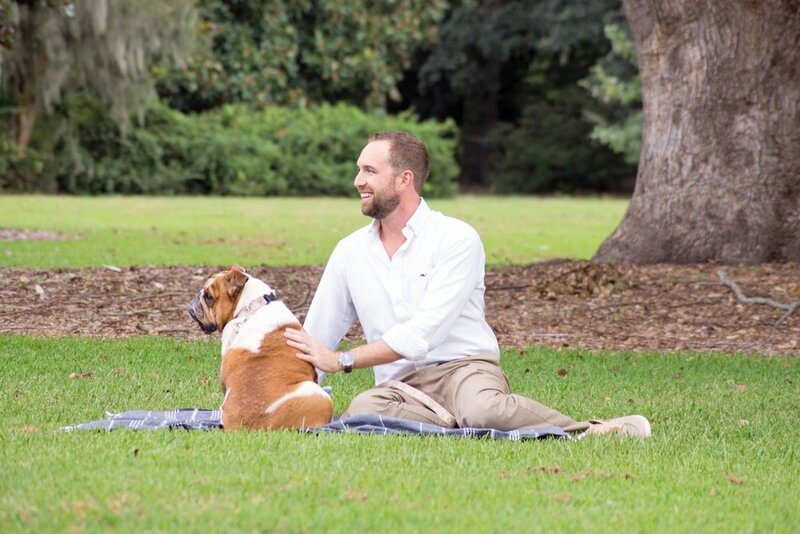 Hampton Park has so many great places for picnics, bike rides, & laid back strolls, & there is just no other spot like it on the peninsula. This is the perfect place for a date day this time of year. 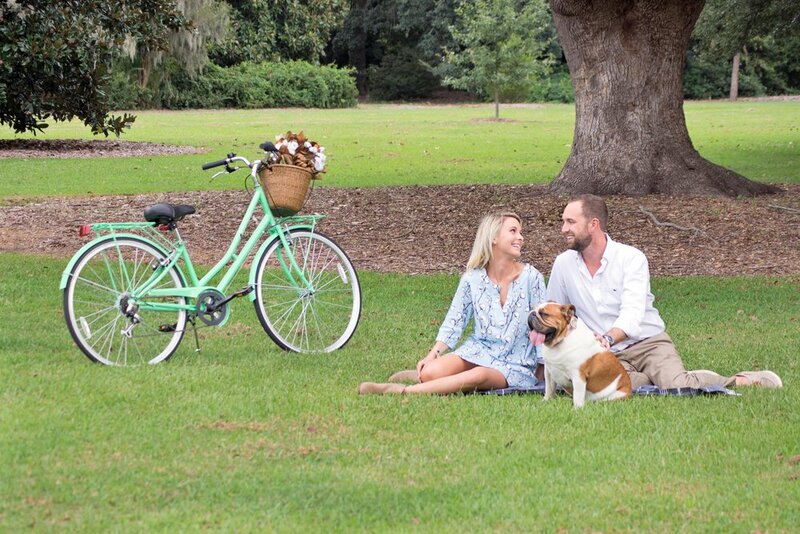 Ashley of Borough & her husband Jeff are as cute as her clothing line, and they recently spent a little time in Hampton Park with their adorable fur baby. They sat a spell enjoyed a little quality R & R from one of my Turkish towels, so I was pretty excited to see them putting it to good use! 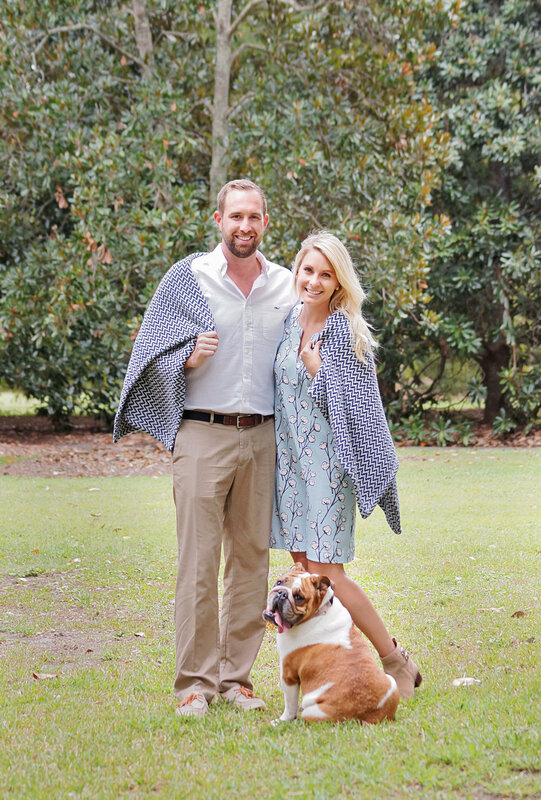 Check out Ashley's cute cotton ensemble that's available on her website, and don't miss her tailgate line either! Shop this cotton dress here, which is made from super soft NC cotton. Follow Borough's Instagram to see all of their great prints. All images are by Jennifer Collins Photography.